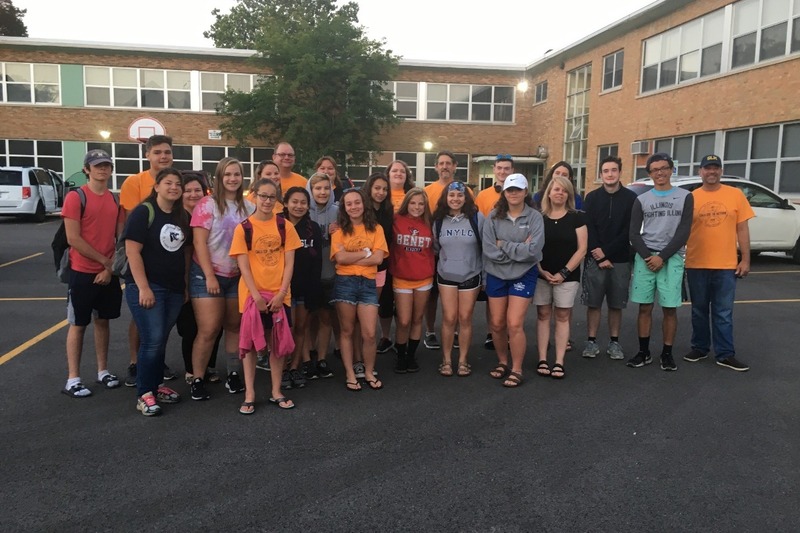 St Louise de Marillac has been sending groups of teenagers and adults to participate in the Appalachia Service Project Program for the past seven years. The Appalachian region has a poverty rate that more than doubles the national average. Most homes, if the families own them, are passed down from generation to generation and regular maintenance and upkeep on the homes is impossible to afford since the median average income is under $20,000 a year. This past year, St. Louise de Marillac ASP was able to take 24 volunteers to Kentucky. We were able to have four work teams serve four different families and their homes. Our groups fixed, floors, installed toilets and sinks, built ramps for wheelchairs to get in and out of homes, replaced siding on homes, and much more. The families were very grateful for all the hard work our volunteers completed to help their families. The St. Louise de Marillac ASP group is hoping to grow again this year to take more volunteers so we can serve more homes. Our St. Louise ASP group is looking for funds to help us continue to finance and grow the program. We want to continue helping those that are less fortunate than us, and we need your help. Any monetary donation goes directly to financing our trip. These funds help pay the cost of our week with the program at the ASP Center, the rental of vans needed to drive down and transport supplies, the supplies to help with our work, and a special gift we leave with the family that is specific to their needs. We are also in need of monetary help so our teens can afford the trip to Appalachia. Many hands means more work can be completed on the homes. The trip is very difficult for teens to afford, yet they are willing to take a week out of their summer vacation to help these families. Your generosity will benefit lives greatly. Upon returning, the group would update you on the wonderful work they were able to accomplish. They will share pictures of their projects and stories with you so you may share them with others. Please consider helping out the St. Louise de Marillac ASP group for their upcoming trip in the summer of 2018. Your contributions are tax deductible and our tax IEN number is 36-6009099. We are a 501(c)3 organization. Thank you as always for your generosity and may God bless you now and always.